Learn to art: What do the Sasol New Signatures winners say about their own work? 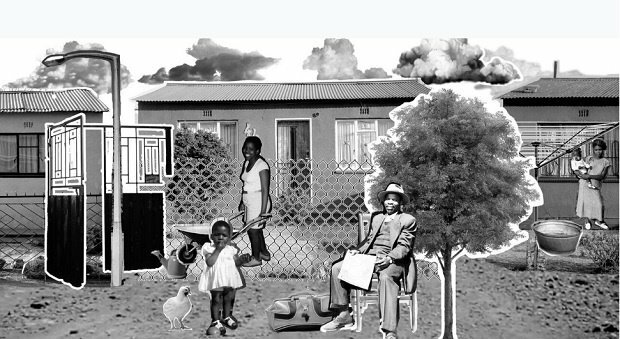 YOU'RE READING Learn to art: What do the Sasol New Signatures winners say about their own work? Jessica Storm Kapp, Mapping Time. Let’s get real for a second: art can be confusing. It often seems wilfully obtuse and inscrutable – a challenge in patience for the viewer. A first look at a Dropbox folder of the Sasol New Signatures award winners had Grethe Kemp confused. Then she visited the exhibition and heard what the artists had to say. 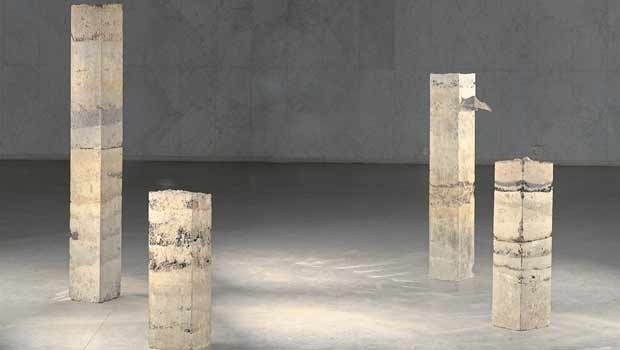 Sasol New Signatures is the longest-running art competition in South Africa and is integral to giving unknown artists a platform on which to show their work. Open to those who have not had a solo exhibition yet, it’s perfect for young or emerging creators to enter. This year’s entrants showed a definite trend in moving away from painting on canvas and towards massive experimentation with different mediums. Materials used by the top 100 included a vast array of things – Omo washing powder, hospital beds, steel, wood, sand, leather, ceramics, plastic crates, audio recordings and even computer programs. 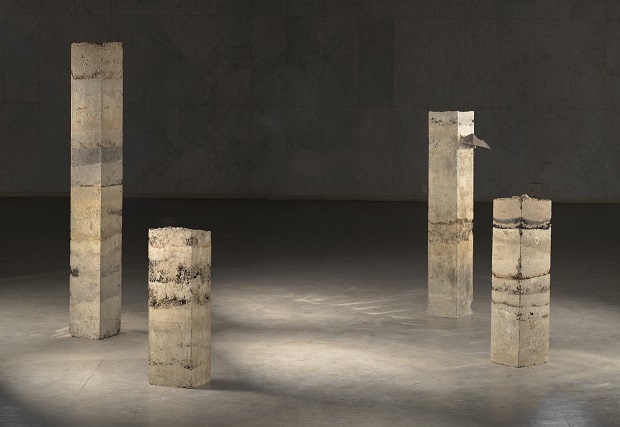 The winning work by Jessica Storm Kapp from Stellenbosch, entitled Mapping Time, consists of stamped columns of earth embedded with found objects. Hailing from Knysna, she used layers of soil and found objects to document the Knysna fires, as well as obliquely touching on themes of time, history and land. A simple picture of the work is difficult to understand; only when you’re physically at the exhibition and go up close to the layers of sand and embedded objects do you get a sense of the work. 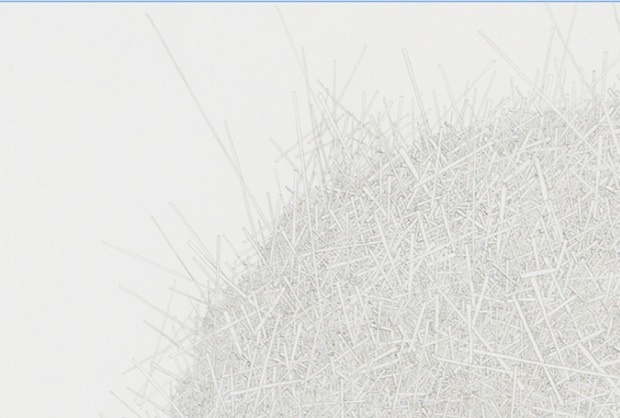 Similar is runner-up Peter Mikael Campbell’s pencil drawing Kaisen (“change for better” in Japanese). 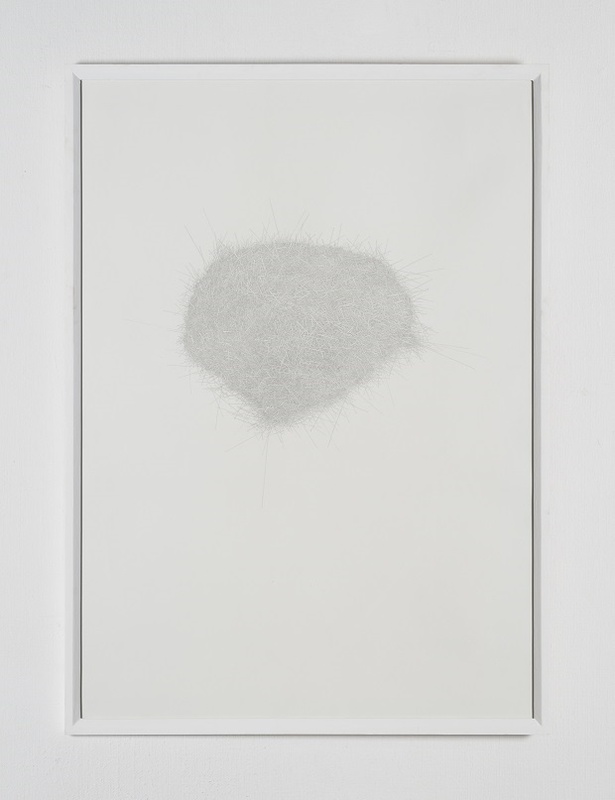 On paper it looks like a grey stain, but when you look closely you see thousands of painstakingly drawn rectangular fibres that come together to form an incredibly serene and contemplative work. The similarity continues with the merit award winners. 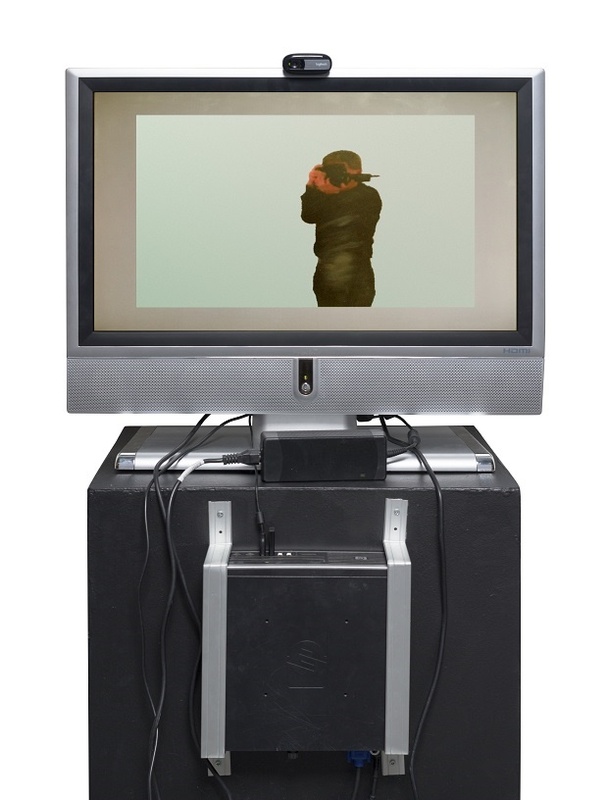 Megan Serfontein created a computer program that blurs an image of the viewer when they stand in front of the monitor – an effect that can hardly be captured on this page, while Debbie Fan’s restaurant receipts only take on their real meaning when you see how physically large they are. 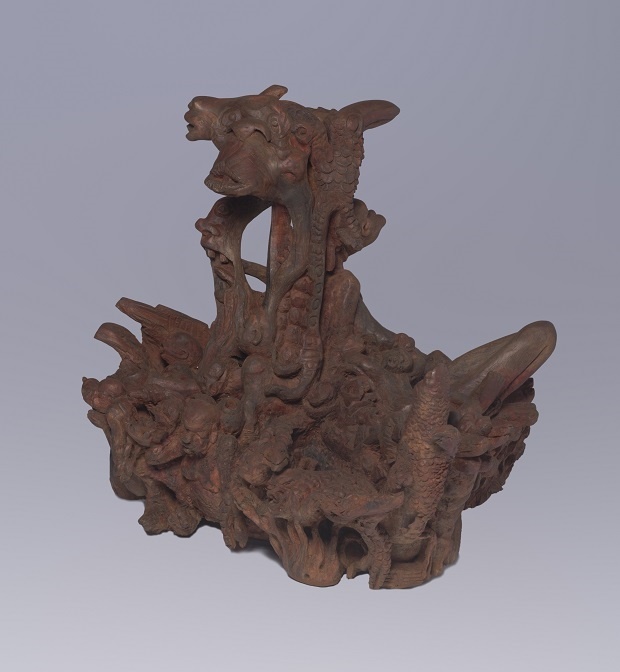 The crux of the matter is that art – especially art that is made from nontraditional materials – is inscrutable if you don’t see it as it’s meant to be viewed. This page is thus only a precursor of the actual works. To experience them, you’ll have to go to the gallery and see them for yourself. You won’t be disappointed. Says the artist: “Living in Stellenbosch for the last four years, doing my degree in fine arts has been quite a difficult thing for me to navigate as I’m someone who identifies very strongly with my home. Getting the phone call saying that the Knysna fires had happened and not being able to support the people that you love or experience that place for one last time was something I grappled with. After the fire I went home and I started collecting materials from around my house – soils, charcoals, ash – anything I could find. Then I started venturing deeper and deeper into the forests that surround my house and I found really interesting objects. These objects became so important in my work because I was really interested in where they came from and who they belonged to. Says the artist: “I wasn’t intentionally trying to say something with this work. I think it’s better to view it in the same way that you would listen to a beautiful piece of music – it’s more a phenomenological experience. A better way of looking at it is to view it from the perspective that I view myself almost as an artist monk. I have an overarching philosophy and a belief in art and out of that process artworks emerge. I believe that art can show us the light and the way to a higher state of being. 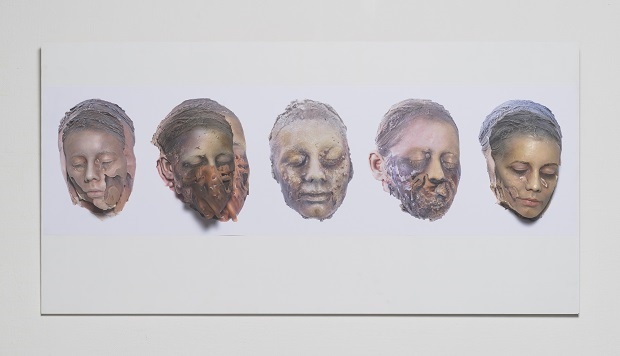 Says the artist: “As a child I suffered with a very rare skin disorder called oral dermatitis. That drove me to doing this work - I wanted to understand a little bit more, why the disease crippled me so much as a child. Naturally I’m an introvert but it made it even worse because oral dermatitis affects your face, and when you’re interacting with someone you notice their face first. Debbie Fan’s cheque or savings? 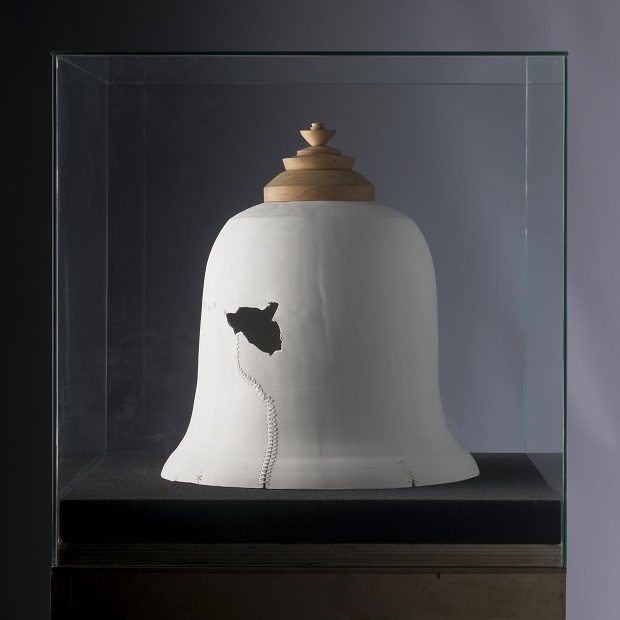 Says 2018 Sasol New Signatures National Chairperson Professor Pieter Binsbergen: “It’s interesting that the artist has chosen to represent the slave bells in fine porcelain. When one fires these they become very fragile and they crack, and he stitches them back together, this is also a way of repairing porcelain in antiquity. 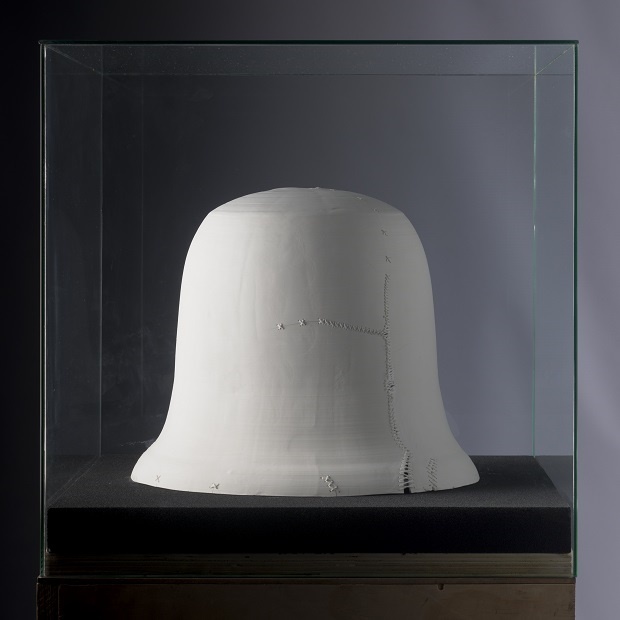 The bells are offered to us as museum relics, as if they’re in shipment to a venue where they’re being unboxed from their rough crates where they were shipped from venue to venue for an exhibit. Says the artist: “I grew up in a technological background, and what resonates with me is that technology influences the way we see the world, ourselves and others. We treat our phone like another person; when we talk to people through it we’re treating it as if it’s another being. We act differently in front of a lens when we know it’s recording us. How you act when you know that someone is watching is different to how you act on your own. I draw attention to this with the materiality of technology.